The rugby world was in shock after news of the 63-Test veteran’s death emerged on Sunday afternoon, with a number expressing their grief online. Star fly half Quade Cooper said he was “shocked” but “grateful to have played alongside [Vickerman]” and offered his support to Vickerman’s wife and two children. Cooper also called on others to check on the mental health of those around them. The All Blacks, against whom Vickerman played his final game for the Wallabies in 2011, put aside what in times like this seem like petty rivalries to express their sadness.Vickerman’s death came about two weeks after news that Springboks great Joost van der Westhuizen had died from a form of motor neurone disease at the age of 45. And ex-Wallaby David Campese mourned the loss of “another great”. Vickerman started his Super Rugby career with the Brumbies and played 33 games for them, some of which came alongside prop Ben Darwin, who sent a stream of mournful tweets on Sunday. Rugby Union Players Association chief executive had earlier said “Dan was universally respected by his peers”. 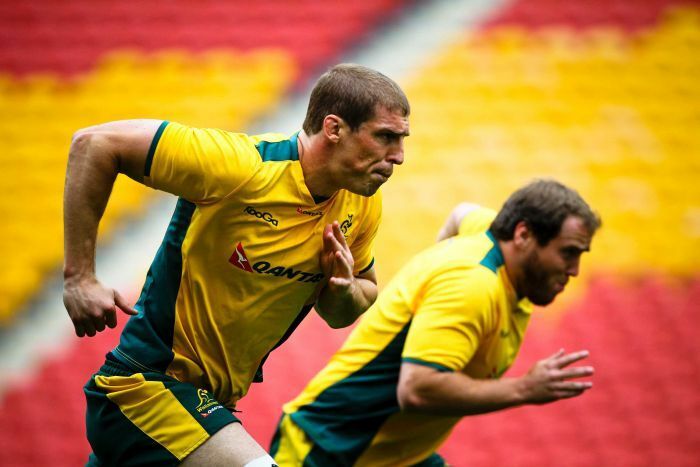 And that was evident as former Wallaby Adam Freier succinctly tweeted his grief.And Australia’s players association posted on Instagram a photo of Vickerman and his beaming smile.